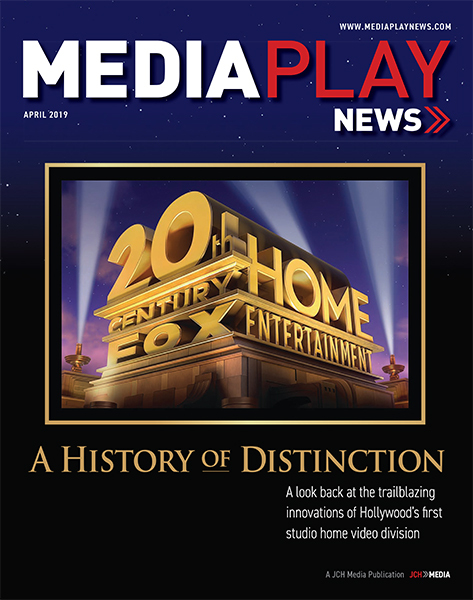 Media Play News honored four digital retailers with the publication’s second annual Fast Forward Awards for driving the home entertainment industry forward. 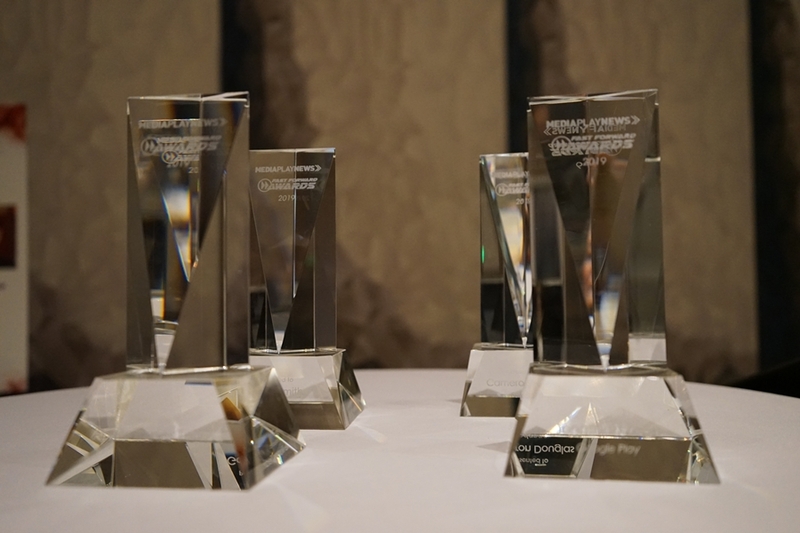 This year’s awards included a luncheon and ceremony, held April 4 at the Universal Hilton in Universal City, Calif., and hosted by the Entertainment Merchants Association. Awards went to Cameron Douglas of FandangoNow, Jonathan Zepp of Google Play Movies & TV, and Galen Smith of Redbox, and the team at Apple iTunes. EMA used the event to launch its EMA Leadership Development Foundation, aimed at supporting professional training and development within the home entertainment industry, and particularly within the EMA membership. Online ticket platform Atom Tickets announced a new service, Atom Movie Access, enabling exhibitors to develop custom theatrical ticket subscription plans for consumers. 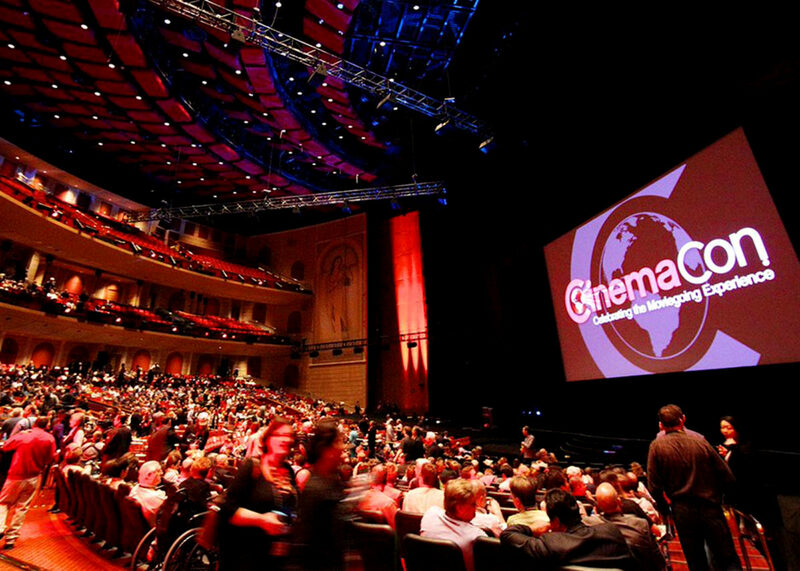 The move represents an effort to incorporate movie theaters with the consumer-popular concept of ticket subscriptions, while not alienating exhibitors as was done by subscription pioneer MoviePass. MoviePass has cited fraudulent use of its $9.95 monthly subscription – not a flawed business model – for the service’s fiscal challenges. App-based Atom Movie Access affords exhibitors the ability to offer subscribers reserved seating, pre-order concessions, invite friends via social media and check-in using portable media devices. “We’ve always believed in being a valuable partner to exhibitors, starting with the core functionality of our app, which allows for marketing promotions at specific locations and integrating exhibitor loyalty plans,” Matthew Bakal, co-founder of Atom Tickets, said in a statement. The service, which is co-owned by Lionsgate, Disney/Fox and Fidelity Management & Research Co., also offers backend support, including payment transactions, customer service and fraud detection. “Atom Tickets is an innovative ticketing platform that enables exhibitors to reach and engage new and incremental audiences,” Bakal said. 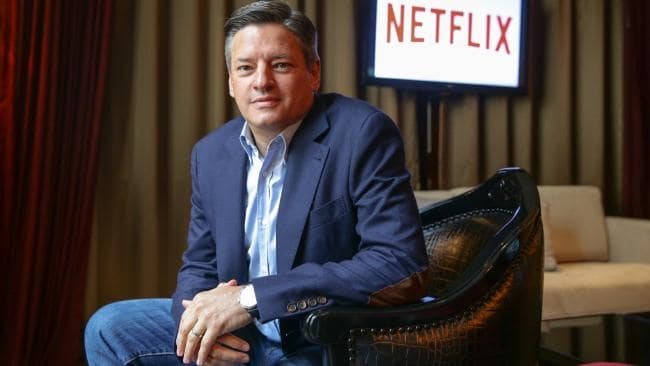 The day after Apple’s media coup announcing plans for an enhanced Apple TV app and related services, Wall Street appears divided depending upon which side of the Netflix stock it sits. With more than 1.4 billion iOS connections globally, the revamped Apple TV+ service would appear to be a major competitive threat to Netflix’s global base of nearly 150 million subscribers and future growth. With a history of industry disruption and creating consumer markets through iTunes, the iPhone, iPad and Apple Watch, conventional wisdom suggests Cupertino, Calif.-based Apple could upend Netflix’s burgeoning growth and market dominance — despite its relatively late entry into the over-the-top video ecosystem. Needham analyst Laura Martin contends Apple TV+ could be “poison” to Netflix by virtue of Apple’s 900 million existing connected consumers and its ability going forward to bundle original content, discounted third-party OTT services, music and video games. In a note, Martin writes that if Apple is successful converting just 10% of its unique users to Apple TV+, it would be able to fund content with a budget nearly triple Netflix’s. 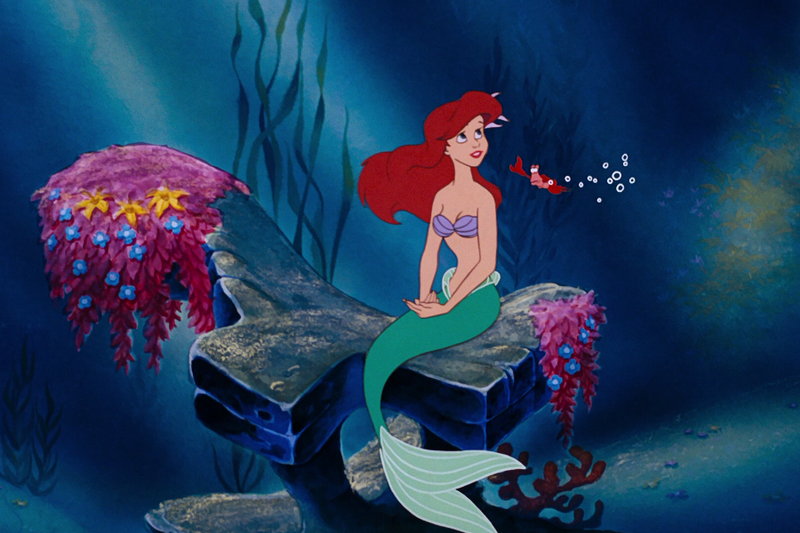 The analyst is also bullish on Disney’s pending Disney+ streaming service, telling media it could generate 50 million subs. 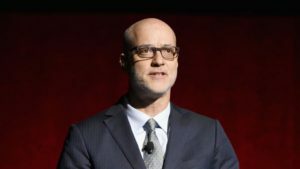 Dan Ives, media analyst with Wedbush Securities, says Apple is separating itself from Netflix by catering to family-friendly content on a secure platform. On the flipside, Raymond James analyst Justin Patterson says Netflix market position is well-built to withstand the threat. 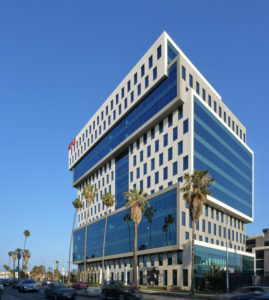 Longtime Netflix bear Michael Pachter, with Wedbush Securities, says that with Apple reportedly spending $2 billion on original content, including licensing content from Netflix’ studio contributors – in addition to offering third-party OTT services — the SVOD pioneer will have increased challenges finding compelling content to justify its standalone service. 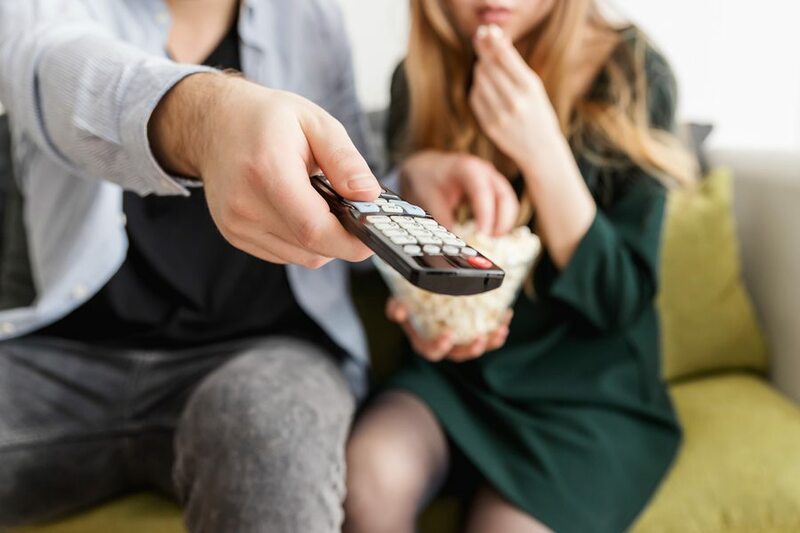 “We expect Netflix to suffer the double whammy of seeing existing content migrate to competitive services at the same time that new domestic subscribers are more difficult to attract,” Pachter wrote in a March 26 note. In another blow to packaged-media retail, Sony Interactive Entertainment is taking steps to stop retailers such as GameStop, Amazon and Best Buy from selling digital codes to its video games. The move would hinder consumers from bypassing the credit card payment option at Sony’s PlayStation Network and purchasing codes to PS4 titles at physical and online retail. 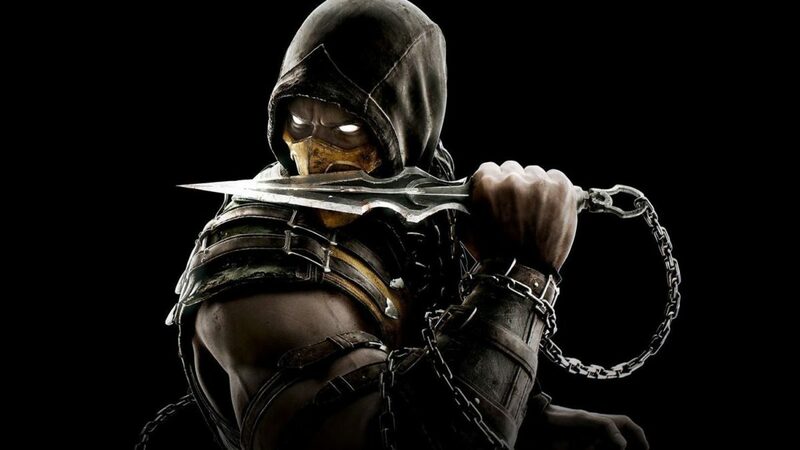 The move will reportedly not affect pending releases of Days Gone and Mortal Kombat 11. Sony said the new policy would not affect downloadable content, add-ons, virtual currency, gift cards and season passes. The publisher will also continue to offer third-party PSN credit options at select retailers. Sony’s action mirrors efforts by Disney to stop Redbox from selling digital codes to its movies. That move resulted in litigation with a federal judge last summer granting Disney’s request for a preliminary injunction against Redbox. That injunction only applies to newer “combo pack” releases with a revised disclaimer on the package. Redbox said it would continue selling digital codes to earlier Disney releases such as Frozen and older “Star Wars” movies. It was a curious juxtaposition March 22. I was touring the old locations — some of which still exist and are recognizable — of the early Laurel and Hardy films — films from the very beginning of the motion picture industry. For the Blu-ray, DVD and digital release of Sony’s Stan & Ollie about the comedy duo, we looked at Main Street in Culver City where so many films from the Hal Roach studio were shot. 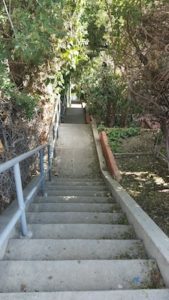 We looked at the famous Music Box Steps, where the comic duo lensed one of their most memorable sequences. 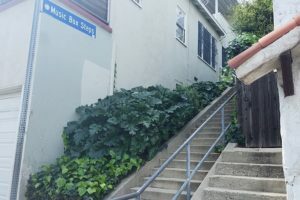 The Music Box Steps, famed for their appearance in a Laurel and Hardy film, still exist in the Los Feliz neighborhood in Los Angeles. 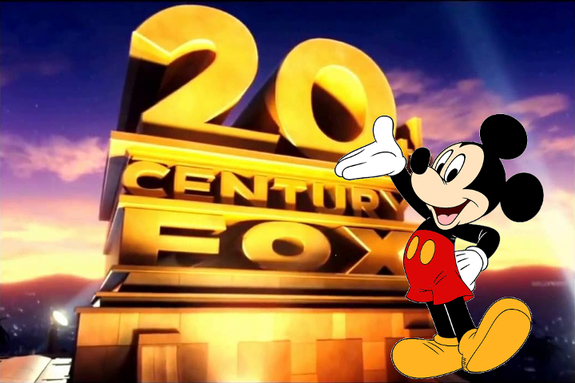 At the same time, the venerable studio Fox was being subsumed and forever changed by an acquisition deal in which Disney would take over the studio’s content and Fox retain the lot — to whatever purpose it wanted. Who knows what will happen to that historic lot? And thousands of Fox employees had either already learned, or were awaiting, their fate, as the studios combined and got rid of personnel in duplicative departments. The next Monday, March 25, Apple announced its entry into the content production business, with no less than Steven Spielberg, J.J. Abrams, Oprah — and Big Bird — backing its entry. Looking down the Music Box Steps. The old studio system is, if not dead, under attack. The new studio system is likely to include tech companies keen to leverage their distribution power to deliver content. 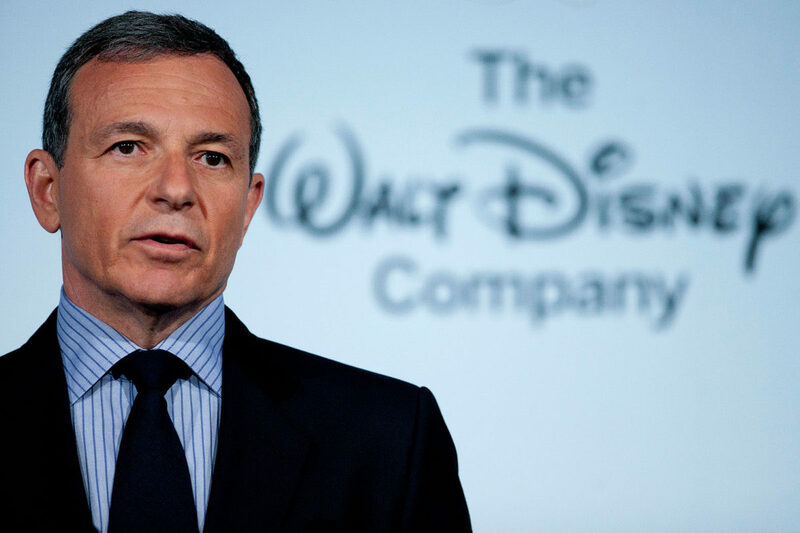 Instead of Disney, Fox, Universal, Sony, Paramount and Lionsgate, will the new order be dominated by Apple, Amazon and Netflix? “We feel we can contribute something important through great storytelling,” said Apple CEO Tim Cook. It remains to be seen. Since when have Apple and the other tech companies been storytellers? For now, they are buying great storytellers with Wall Street money. Near the end of the Laurel and Hardy tour, we saw a small plaque that recognized the Hal Roach studio that produced the comic duo’s films. The studio lot had been torn down, but had been remembered on this one small plot of land via a plaque. It made me think about what studios would be plaques 100 years from now — and what venerable names would be reduced to engraved remembrances.